Welcome to Spring Hill Carpet Cleaning. Using professional products and highly trained staff, we will have your carpets looking clean and classy in a timely fashion. As a local carpet cleaner, we value our customers and aim to provide fair prices and honest services. Our reputation is important to us and we work hard to offer quality carpet cleaning for every client. We want our customers to feel valued and respected. We've taken the time to list several reasons why we think we provide quality carpet cleaning services at first rate prices. Check out our list below and be in touch for a free estimate for your next carpet steam cleaning job. Pet stains don't have to ruin your carpet! Dogs and cats are part of the family. But they can leave behind unwanted odors, smells and stains. If you have carpet ruined from pet stains or pet odors, we can assist with that. We specialize in pet stain removal from carpets, wood and laminate. Steam cleaning can be a great way to remove excess stains, odors and other spots left behind by the family pet. Pet odors are eliminated with professional carpet cleaning and the use of high quality carpet cleaning products. At Spring Hill Carpet Cleaning, we treat pets like family, but we treat stains like the enemy! Dirty furniture? We can help with that too! Although many sofas, couches and chairs might not show stains, they still contain harmful bacteria and allergens. Upholstery cleaning is necessary to keep allergens down in the home and make your living space a clean environment. Our Spring Hill upholstery cleaning service is timely and terrific way to keep furniture spick and span for your family. Just because you can't see the dirt, doesn't mean it isn't there. In addition, major stains from pets, food, drinks and daily life can also be removed through professional upholstery cleaning. We have a great system and use the best techniques. While based in Spring Hill, we are also service nearby homes in Brooksville for carpet cleaning services as well. Our neighboring community of Brooksville is traditionally a farming community, and has a quaint and historic downtown area. We love working in the Brooksville area and don't mind traveling out for Brooksville carpet cleaning. All of our Brooksville carpet cleaning services are available under the same tabs listed for Spring Hill. We can cover pet stain removal, upholstery cleaning, residential carpet cleaning and commercial carpet cleaning. If you need your carpets cleaned in Brooksville, we are the company for the job. And, as long-time residents of the area, we know our way around really well. That means no waiting on us to find your place when you schedule an appointment for carpet cleaning. And, since there are also many homes in Brooksville that have both tile, wood flooring and carpets, we can service all three types of flooring in one appointment. Need your carpets cleaned and your wood floor buffed on the same day? We've got you covered for that as well. To schedule or arrange your next Brooksville carpet cleaning, call us today or use our handy form to request an appointment. Our water damage & flood remediation services in Spring Hill, Florida are a great asset to homeowners that have recently experienced significant water damage. When water damage in Spring Hill does occur, this biggest single factor in assessing the structural damage is how long the water was allowed to stand before removal/drainage. Dangerous mold/mildew and other damages can develop quickly, if flood waters are allowed to remain in place for any significant amount of time. Often, in the case of flood damage in Spring Hill, immediate action is required to prevent widespread damages and major necessary repairs. At Spring Hill Carpet Cleaning, we specialize in responding quickly to requests for flood remediation and water damage restoration by prioritizing these appointments in our schedule. We also have the most updated equipment in order to ensure a full restoration of the interior and water affected areas. In many cases, homeowners insurance will cover the cost of Spring Hill water damage restoration and flood remediation. We can help you understand how to file a claim and have our bill covered by your insurance company for all damages. BUT, only if you act quickly once the flooding has occurred. We cannot stress enough that timing is everything in terms of water damage restoration. No toxic chemicals or harmful residues. We offer professional carpet cleaning in Spring Hill without the risk of dangerous toxins to you and your family. Your home is where you relax, play and sleep. Keep it clean and safe with quality, eco-friendly products. ​Fast and friendly. We are quick on the job and easy on the wallet. Carpet cleaning can be expensive. But it is also necessary to maintain a clean, allergen free household. Call us for a free quote and we can negotiate any job. There is nothing too large or too small for our team. ​Prompt and reliable. We understand the nature of a busy world. We give you a reasonable service window and we show up during that window every time. No more waiting around all day for the best carpet cleaner to arrive. We arrive when we say we will arrive. Pet friendly. We offer a great carpet cleaning service in Spring Hill specifically designed for your furry friend. 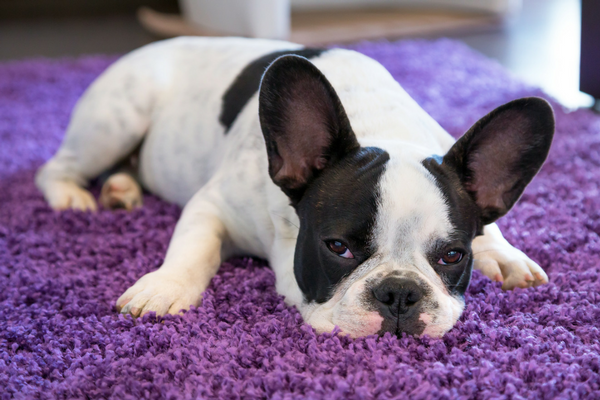 We pay close attention to stain removal and chemicals that won’t hurt little Fido. ​Adds real value to your home or business. Quality Hernando carpet cleaning can save thousands on flooring replacements. Add great value to your business or home by using a Spring Hill carpet cleaner. Cost effective. Replacing flooring, whether carpet, wood or vinyl, can be expensive. Sometimes all your carpet or flooring needs is a professional carpet steam cleaning. You will be amazed at how new your carpet looks afterwards. Top quality equipment. We use truck mounted equipment to provide the best carpet cleaning available. 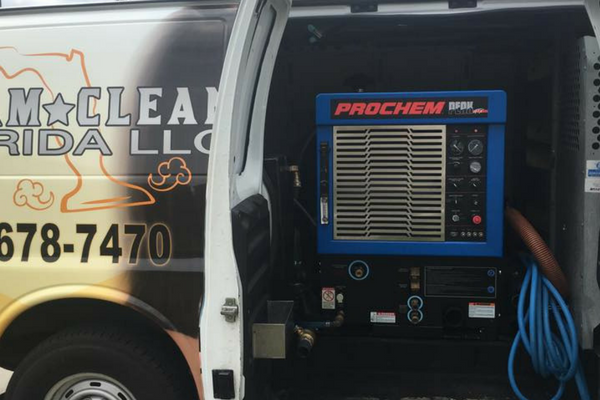 By using a truck mounted carpet cleaning unit, we can offer quality services that clean deeply and effectively. In contrast to floor units or hand held units, truck mounted carpet cleaning units provide a superior clean. Industry experience. Our technicians have been in the professional carpet cleaning industry for years. They understand the job backwards and forwards. We can tackle any job, large or small. We are knowledgeable in all areas of flooring including carpets, tile, wood and laminate. We also stay up to date on trainings for current products and equipment. Follow-up care. We value helping you year round to maintain the best and cleanest carpets possible. That is why we provide step by step instructions for follow up carpet care. We also include helpful tips for in between carpet cleanings as well. ​Excellent reputation. We have five stars on Google+ and Yelp. Our customers are loyal to us and we value their feedback above all else. We make sure to follow any instructions that each homeowner provides and always appreciate hearing about our handiwork. Don't be shy! Leave us a review after we've cleaned your carpet as well. And check out some of our recent customer reviews on our website and on our Google+ page, which can be found using the helpful links at the top.